Buttercream frosting is a classic for not only covering your favorite cake, but for decorating it as well. 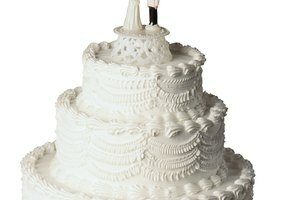 While there are two main variations of buttercream -- American buttercream and meringue-based buttercream in either the Italian or Swiss style -- the easiest to make is the American version. 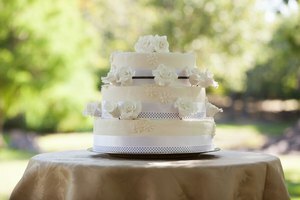 Buttercream typically consists of either butter or shortening, mixed with powdered sugar and a couple of other ingredients. It is creamy, smooth and easily customized in your choice of flavors or colors. 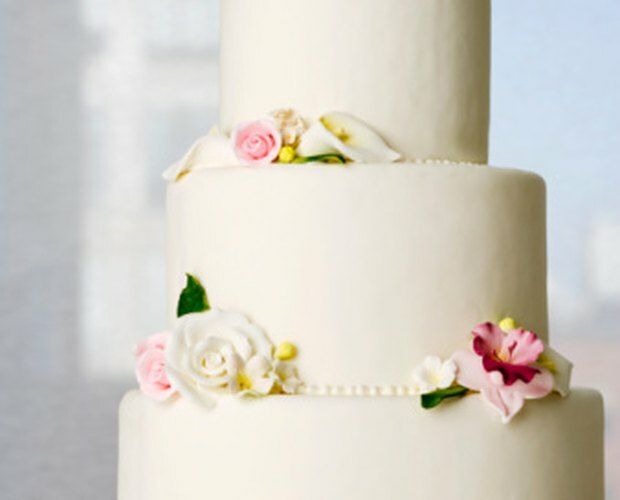 While a simple layer of frosting over your cake requires a thinner frosting, to create elaborate piping and decorations dictates a thicker blend. Prepare your preferred recipe of buttercream frosting, blending the butter or shortening with powdered sugar. Decrease the liquid -- usually water or cream -- used to thin buttercream frosting after mixing. Add the liquid, little by little, stirring to test the consistency after each addition. Stop once your buttercream frosting reaches the thickness you require. Mix your favorite buttercream recipe, following directions completely. Add additional powdered sugar, 3 or 4 tbsp. at a time, to thicken the completed frosting. Mix thoroughly, stopping once the frosting reaches the stiffness you desire. Submerge the bowl of buttercream frosting in ice-cold water, taking care to keep the water level below the bowl rim. Alternatively, put the bowl of frosting in the refrigerator or freezer to chill. In very warm temperatures, buttercream frosting has a tendency to "melt" and run. Use shortening instead of butter in your favorite buttercream frosting recipe. Shortening holds up better in the heat, producing a thicker finished frosting when you are ready to serve your cake. Soften butter for use in your buttercream frosting at room temperature. Microwaving butter causes it to liquefy, which will alter the thickness of your buttercream frosting. Adding more powdered sugar will thicken it, but the texture will not be the same. 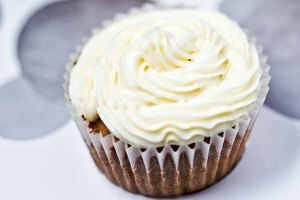 Avoid using butter-flavored shortenings, which may alter the taste of your buttercream frosting. Sometimes no matter what you do, your buttercream frosting will just be off, as if in answer to mysterious elements. Making buttercream frosting can prove something of an art, and you have to experiment with what works for you.